A fine art, giclée print professionally set in a Crescent Select off white/textured (100% virgin alpha-cellulose surface, acid-free and lignin-free) double mat behind Tru Vue Premium Clear glass in a contemporary gold scoop hardwood frame with a subtle green accent and gold beaded edge. 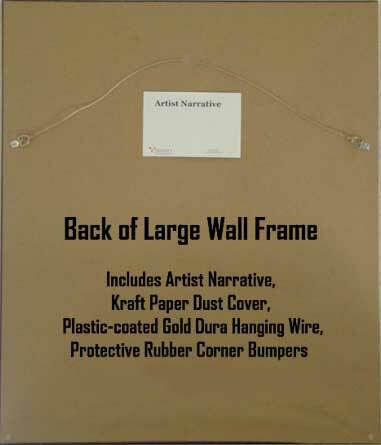 Hanging hardware, protective bumpers, and artist narrative on back. 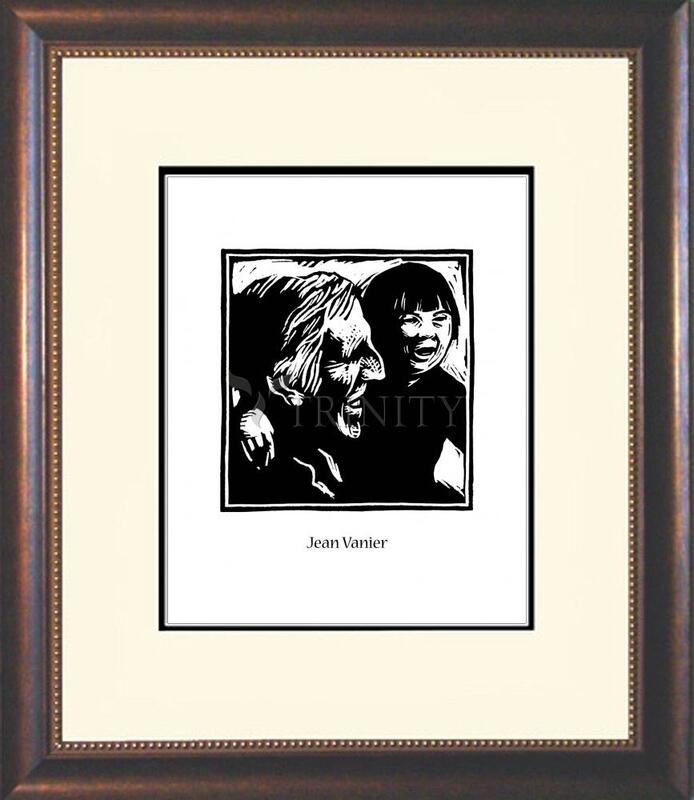 In 1964, Jean Vanier became aware of the plight of people who are institutionalized because of developmental disabilities. He felt called to invite two men to leave the institutions where they resided and to live with him in Trosly-Breuil, France. 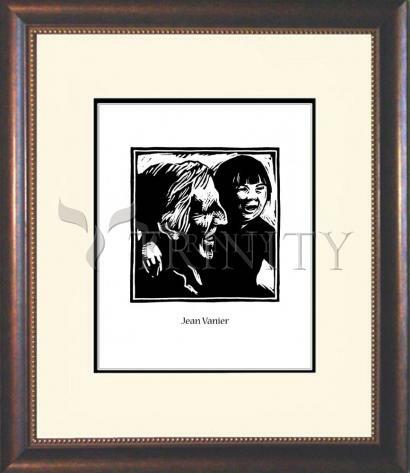 This was the beginning of l'Arche, which today consists of 130 homes worldwide where people with developmental disabilities and those who assist them live and work together, celebrating each person’s unique value and gifts. "Community is not built upon heroic actions but rather upon the love shown in the little things of daily life."